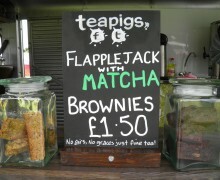 There were also a variety of vintage vehicles, local food exhibitors, Birds of Prey and crafts dotted around the site. There were a large number of children’s activities ranging from bouncy castles to coconut shys. Cedric (the van) instantly felt at home amongst the variety of classic and vintage vehicles. Fortunately for us there were some tea-loving car owners who gave us plenty of advice on how to keep Cedric the Vintage Tea Van alive for the foreseeable future. 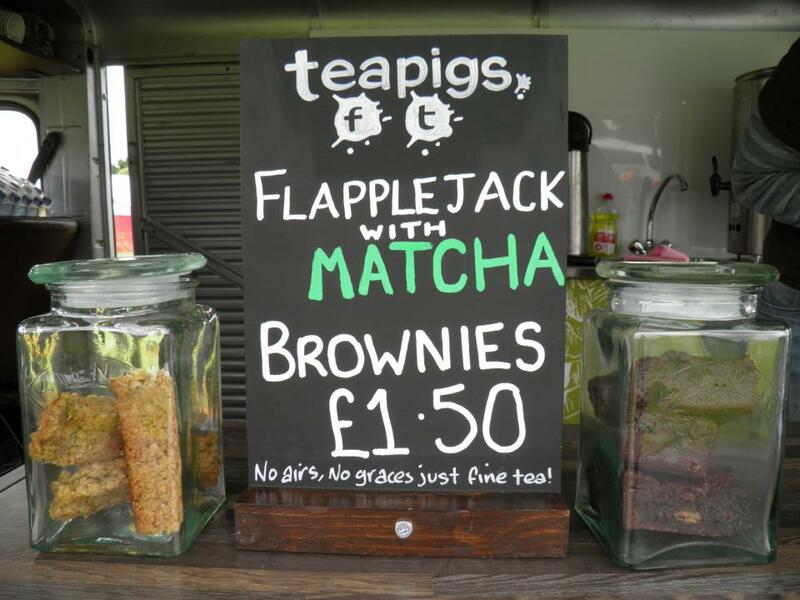 We had great feedback on our experimental Match Flapplejacks which we will certainly be making again. They proved popular with the customers who were trying to justify a treat, needless to say the chocolate brownies went down a storm with the customers who didn’t!